Spring is the time of year that the Walleye wake up and start feeding in the Moses Lake and Potholes Resevoirs. GOLD FEVER is the newest NW Sport Fishing Adventure. 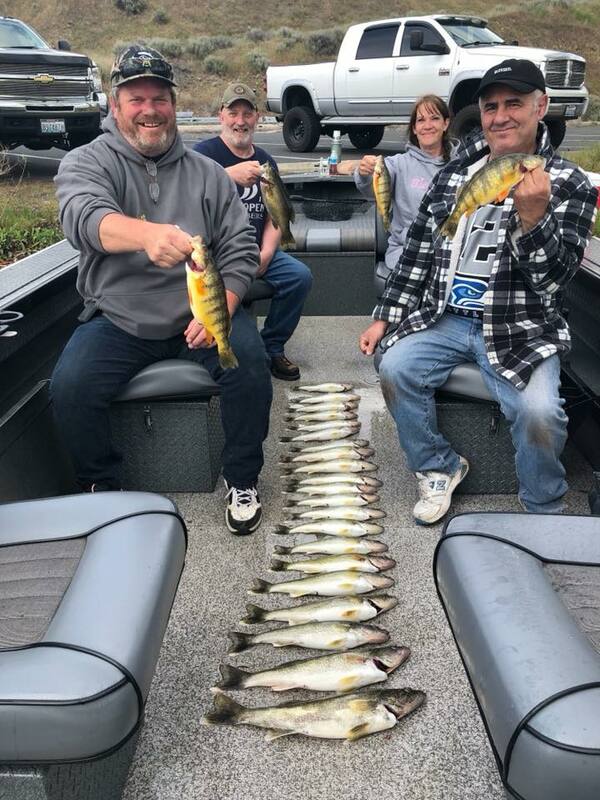 With 9 Fish limits per person and high catch rates, Walleye Fishing in Easter Washington is gaining more and more popularity each year. We will have a 6 person boat from April 15th through May 4th targeting the Walleye coming off of the spawning grounds and aggressively feeding on your bait. In addition to Walleye there are also bass, trout and other fish species caught on most trips.